In 1984, a group of monks in Thailand began an epic game of 100 bottles of beer on the wall. Amazingly, their game continued until there were literally 100s of bottles on the wall, totaling over 1.5 million, and forming the exterior of one of the world's most unique temple complexes. Almost three decades ago, one monk and his acolytes had grown tired of the mounting litter in the Sisaket area. 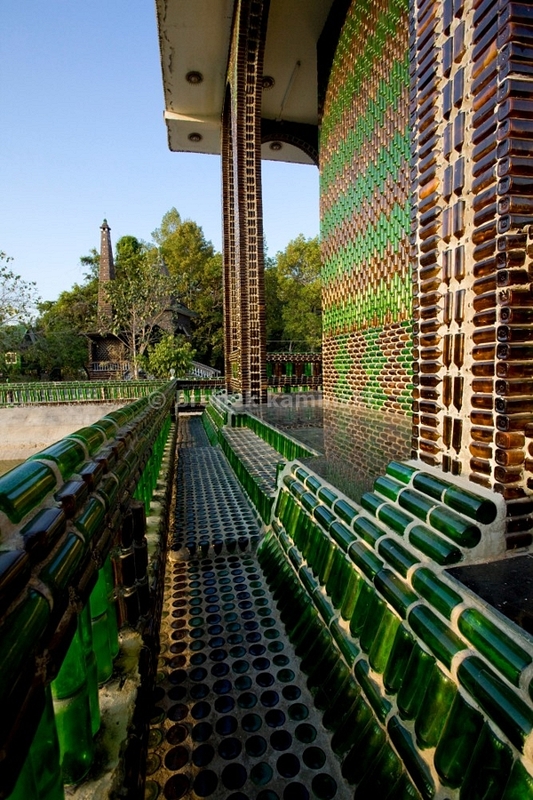 To promote recycling and cleaning the landscape, the monks encouraged everyone in the area to bring them recycled beer bottles to create a temple complex. Formed mostly out of green Heineken and brown Chang (the local favorite) beer bottles, the monks began with a temple, and later formed a crematorium, water towers, sleeping quarters and even toilets. Pushed into the concrete of the walls, every detail of the buildings inside and out are formed from the recycled bottles. 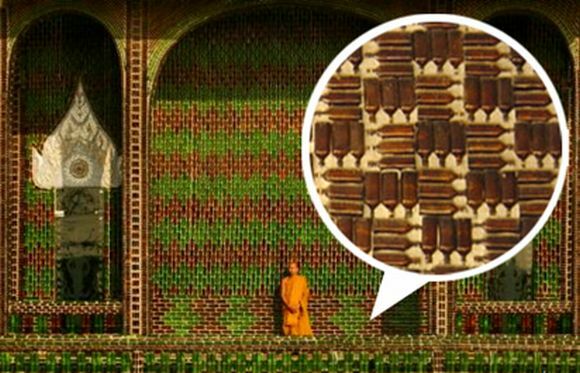 Aside from whole bottles, the monks also incorporated bottle caps to create mosaics and Buddhist designs inside of the temple. Today, the monks have no plans to stop building. 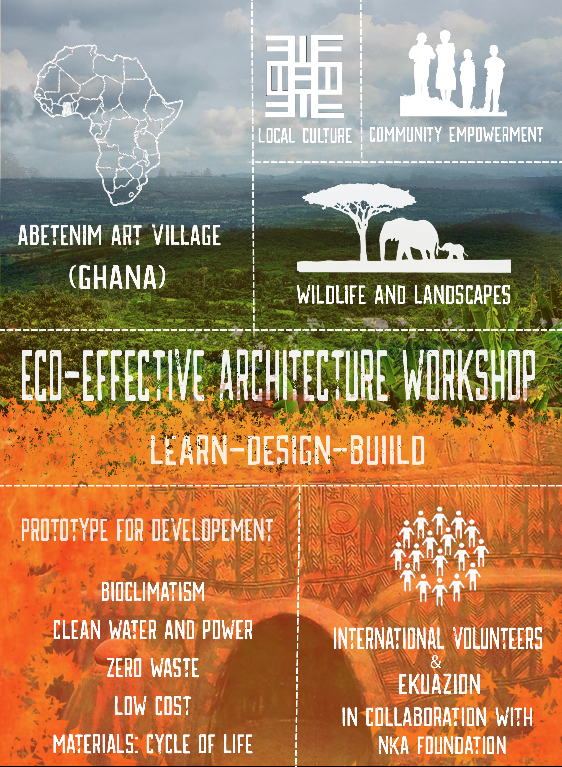 The more bottles brought to them, the more structures they will build, adding layer upon layer to the Temple of a Million Bottles. Publicado por ekuazion en 2:35:00 p. m.